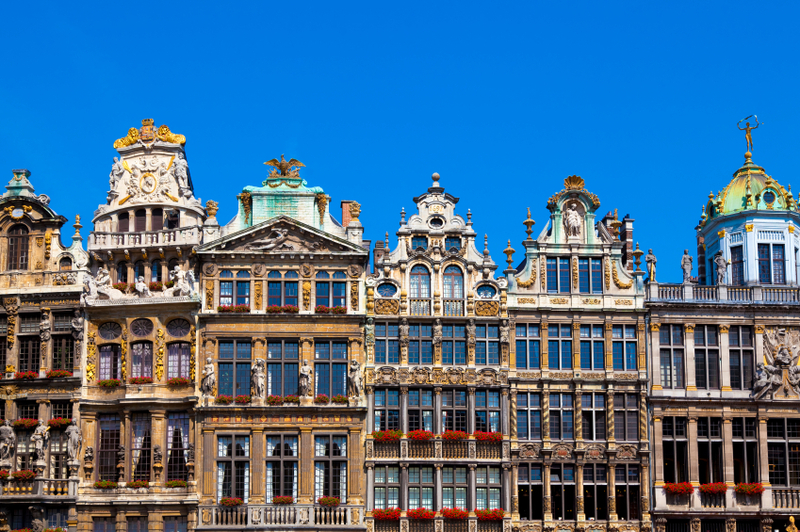 For such a small country, Belgium has been a major European battleground over the centuries. Occupied by Germany during World Wars I and II, it has experienced an economic boom in the last 50 years to become a model Western European liberal democracy. However, there has also been a growing divide between the mainly Dutch-speaking north and the mainly French-speaking south, with some even speculating that the country could break up. Brussels is the headquarters of the European Union and the North Atlantic Treaty Organisation (Nato). Thus, it is the polyglot home of an army of international diplomats and civil servants. The country stretches from the dunes of the northern coastline through the Flemish lowlands and on to the forests of the rolling Ardennes hills in the south. Belgium reconciles regional and cultural identities in a single federal structure. The structure includes three communities – Flemish, French and German-speaking – and three regions: Flanders in the north where the official language is Dutch; Wallonia in the south where French is the official tongue and Brussels, the capital, where French and Dutch share official language status. Wallonia has a 70,000-strong German-speaking minority. Tensions between the two main language communities sometimes run high, and the issue has brought down several governments, creating frequent political instability. Opinion polls suggest most Belgians want to maintain the federation, but separatist parties often score well in Flanders. Belgium also has a small colonial legacy in Africa: in Rwanda, Burundi and the Democratic Republic of Congo – once Zaire. It attracted international attention following the US-led war on Iraq in 2003 because of a controversial law allowing Belgian courts to try foreigners for war and human rights crimes, regardless of where the crimes were committed. The law led to suits against numerous high-profile international figures before undergoing radical revision. Belgium is noted for its strong culinary traditions and is particularly famous for its fine chocolate and array of beers.